In a way, it was almost sadly adorable how excited the Cleveland Browns seemed to be when talking about keeping the staff intact for another season. After finishing a miserable 1-15 this year, the worst record in franchise history, owner Jimmy Haslam preached staying the course. 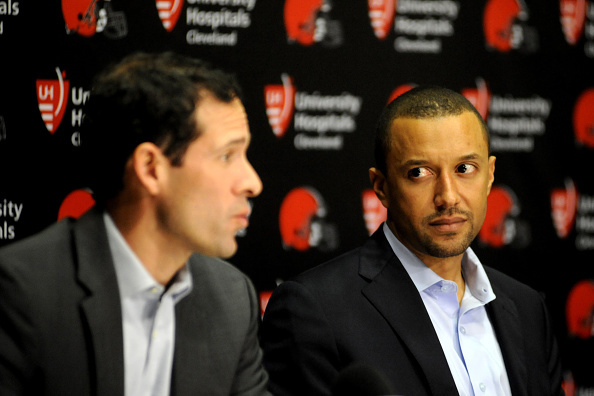 He had no interest in firing anyone, not coach Hue Jackson, or execs Sashi Brown and Paul DePodesta. Despite the ugly results on the scoreboard, the goal is still to see this rebuild through, and Cleveland’s front office seemed to hammer home the fact it’ll be done with the exact same staff next season. Just under a week after making those statements, two Browns coaches were gone. One of them, associate head coach/quarterbacks coach Pep Hamilton, left to join Jim Harbaugh‘s staff at Michigan. The other, defensive coordinator Ray Horton, was fired. Let’s sum that all up again – the Browns spent a day or so tooting their own horn for preaching consistency, then kicked one coach out the door right before watching another leave by choice. There’s a lot to take in from all of this, clearly, but the most obvious takeaway from this past week is that continuity just doesn’t seem to be a concept Cleveland understands all that well. Now, sure, the team heads into next season with the same head coach and front office execs (for now, at least). This on its own is a huge development for a Browns team which seems to be an annual participant in Black Monday firings. Still, what happened? Why did we shift from “we’re all on the same page ” to the team needing to fill new vacancies on the coaching staff? For what it’s worth, one opening was filled quickly. 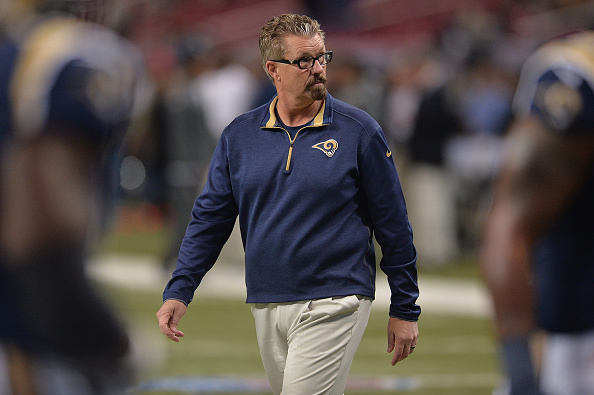 As soon as Horton’s ouster was announced, the team secured Gregg Williams as his replacement. Coming over from the Los Angeles Rams with a 4-3 scheme and an attitude players seem to love, it certainly seems as though the Browns got better with this hiring. At the same time, the question isn’t whether or not Williams helps the team. It’s instead why he was even acquired in the first place after Cleveland spoke so highly of not making any changes. To me, the immediate reaction is Jackson realizes the situation he’s currently in. He knows getting a second season in Cleveland is an honor very few coaches have experienced lately. That said, while he gets another chance to show some progress, his margin for error next season will be significantly smaller. While there wasn’t much talent to work with on the Browns’ defense last year, the unit as a whole was quite a disaster. Basic concepts like tackling angles and recognition of tight end as a pass-catching option seemed foreign to many Cleveland defenders. So, Jackson saw an issue which may hinder his chances of generating more wins next year, realized an improvement was available and ordered the switch made. Such a scenario certainly makes sense if Jackson is the one making the calls. If the front office meddled and made the move, it’s an entirely different story. Many point to Hamilton’s departure as an indication this is what’s really going down in Cleveland. This is due in part to Jackson seeming thrown off when asked whether or not his assistant would be sticking around next year when the Michigan rumors first surfaced. He acknowledged the reports, but seemed pretty sure there was no reason to expect Hamilton’s exit. A couple days later, Hamilton was off to Ann Arbor and many Browns fans were left wondering what’s going on at the team facility. For what it’s worth, it doesn’t sound like Cleveland is losing a lot in Hamilton. Jackson was the team’s de facto offensive coordinator, and quarterback certainly didn’t seem like a position of strength for the Browns this year. Still, after preaching against the idea of wholesale changes for once, Cleveland has endured a good amount of alternations in the days since, with more firings taking place today. Is this any better than the full-scale blowouts we’re used to seeing with this team? Technically, yes. This isn’t the same as starting over with new hires at every important position, and the team as a whole will be following the same strategy next year as it did this season. Are the events of the past week concerning, though? Despite the upgrade in Williams and Hamilton’s departure not severely hurting the Browns, it’s still worrisome to see the team go through notable changes year after year. Players will once again have new faces to work with even though the team promised otherwise a week ago. We’ll have to wait and see how these adjustments affect the 2017 season, but for now we’re left to wonder just when this team is going to embrace the idea of continuity and actually mean it.